We have a special cleaning service for your suede, leather and fur items and have a climate controlled storage facility on premises. We are fire and theft rated. Each of these orders are cleaned and stored at our on-site facility to prevent moth and moisture problems. 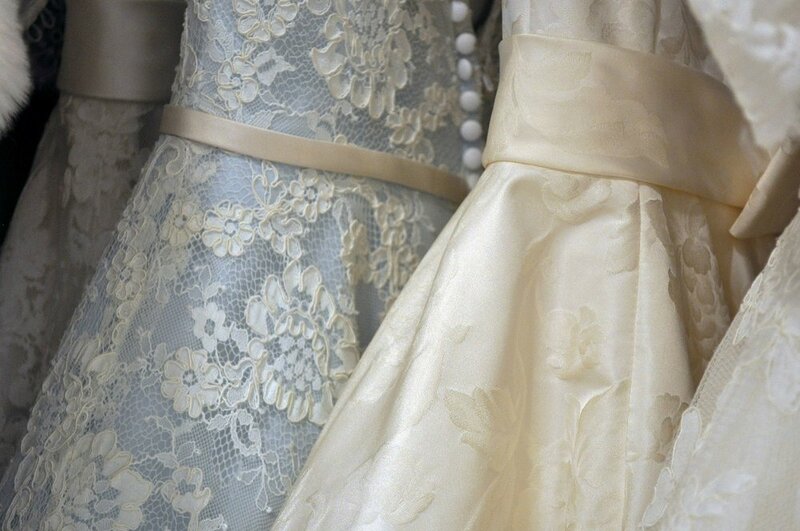 We offer cleaning and preservation for most wedding gowns. Each gown is inspected and care labels assesses to determine the best cleaning option for the gown. We are happy to consult with you on cleaning options. Disclaimer: Beading and trims may prevent us from cleaning certain gowns. We hem pants, replace hems, seams, buttons and sew on patches. We repair rips and holes and will work to put together what is torn apart. Unfortunately, we cannot do major tailoring, zippers or hemming of dresses or skirts.